Welcome to SDFiles where we, Zohner and Schmidty, will discuss anything and everything paranormal, metaphysical, crypto-zoological and otherwise strange. 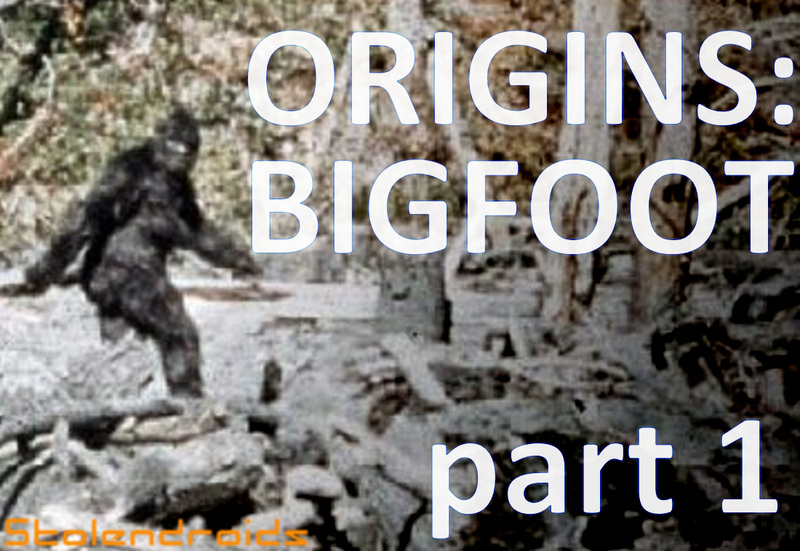 This week we are introducing our third episode in the Origins series, and the first part to Origins: Bigfoot. From Wikipedia: Bigfoot is described in reports as a large hairy ape-like creature, in a range of 6 to 10 feet tall, weighing in excess of 500 pounds, and covered in dark brown or dark reddish hair. The creature usually has large eyes, a pronounced brow ridge, and a large, low-set forehead. The top of the head has been described as round and crested, similar to the sagittal crest of the male gorilla. Bigfoot is sometimes reported to be accompanied by an unpleasant smell. The common name, bigfoot, comes from its large footprints that can be up to 24 inches long and 8 inches wide. Bigfoot exists in many Native American legends, mostly as a guardian of nature. 550 – First Recorded Sighting? The first sighting of a Sasquatch by a white man apparently came in 1811 near what now is the town of Jasper, Alberta Canada. A trader named David Thompson found some strange footprints, fourteen inches long and eight inches wide, with four toes, in the snow. In 1910, the murder of two miners, found with their heads cut off, was attributed to the creatures, though there was little supporting evidence that the killing wasn’t human in origin. In any case, the place of the murders, Nahanni Valley, in Canada, was changed to Headless Valley, because of the incident. Canadian lumberjack, Albert Ostman was captured by a family of Bigfoots. A group of miners near Mount St. Helens shot and killed a Bigfoot. A prospector near Mount St. Helens was accosted by Bigfoot. Bulldozer operator, Jerry Crew, found and cast a footprint found at a construction site. The most popular and most widely refuted Bigfoot sighting to date.